You know how putting on a fashionable outfit always start from picking out a cute top, and a pair of pants or a skirt to go with it, then you add your favourite heels or boots, before finally choosing the perfect accessories to complete the ensemble? Some days it can be exciting, but others you just can’t match anything and you lose precious time changing from one dress to another and switching from one watch to another. So, why not go the other way around, and start off by picking out the accessories first and fashioning an outfit around that. Satin, silk, wool and chiffon scarves really make a difference for an outfit. So, the next time you start wondering what to wear, pick out your favourite silk scarf and start from that. Given that the little accessory only adds to elegance and style, think about complementing the baby pink scarf with a little black dress. If the scarf features black motifs, it’ll match the outfit perfectly. Cold seasons call for serious warm-ups, which is why knitted wool scarves can be a fabulous addition to a winter ensemble. Work your way around the scarf, and think about matching the colours of the outfit to it, rather than making the scarf pop. Pick a camel wool scarf and add a camel coat alongside a black cashmere sweater, black jeans and a pair of leopard pattern heels. Jewellery can make or break an outfit, so it’s essential that you choose wisely before making the wrong choice or overdoing it. The idea with necklaces, earrings and bracelets is to complete the ensemble, giving it a special final touch, thus customizing it to your character. So, instead of centring jewellery around the outfit, let’s start with picking out a pair of delicate gold earrings and a pendant necklace. This is a perfect match for a brown turtleneck, a suede A-line skirt and a pair of knee high boots. 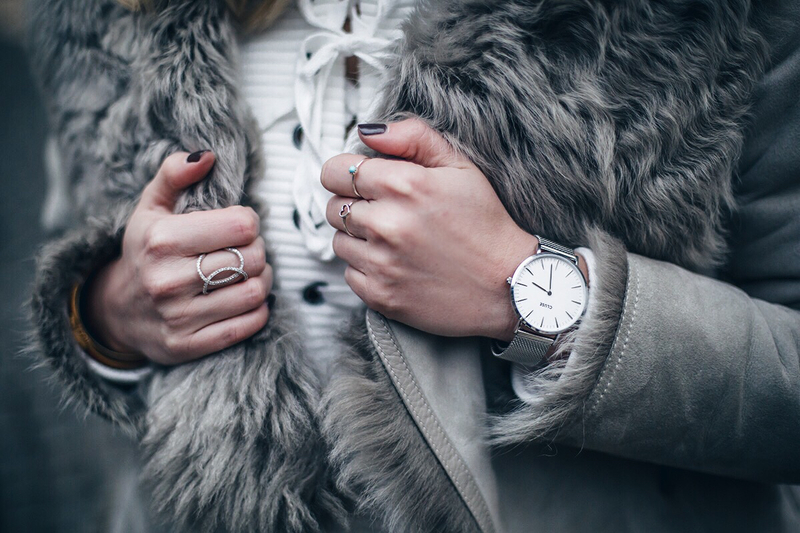 Some people cannot imagine their outfit being complete without a fashionable watch, so it’s a great idea to start thinking about the perfect wardrobe to go with the trendy accessory. If choose some of the best luxury watches in Australia, the outfit will truly stand out but you must choose wisely. When you’ve settled on a neutral colour strap or a metal one, it’s much easier to pick the type of wardrobe. Whether you’re going to the office or for a night out, a stylish dress and a pair of heels will look amazing alongside the luxury watch. The days when the belt had to match the shoes and the bag are long gone. This is why accessorizing is much more exciting and ground-breaking nowadays. Not only do you not have to match the colours, you don’t have to worry about the styles either. If you’re thinking about carrying your favourite navy-blue purse, but you’re not in the mood for heels or dress ‒ no problem there. Match a pair of jeans with flat oxford shoes and a button-up blouse alongside a blue blazer and you’re all set. Add a beige leather belt to break the colour pattern. If, on the other hand, you try mixing up the ensemble to go with that new thin patent belt, wrap it around the cute little summer dress but add a lightweight cardigan as well, in case the night is breezy. If you’re used to matching the accessories to the outfit, just adding them as the ultimate embellishment, you can now do the opposite. Picking out your favourite pair of earrings or your new bag and working the way around it to dress nicely is just as exciting and can be equally fashionable. Try it out, and you’ll most definitely be delighted with the result.